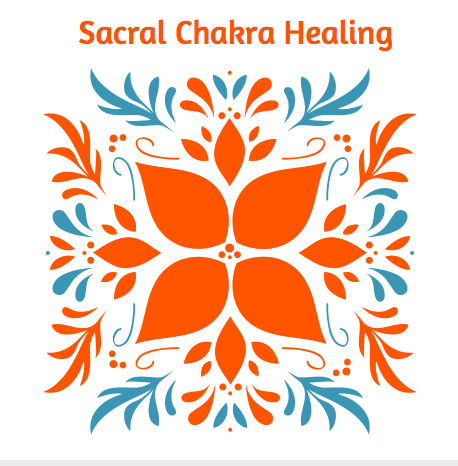 Today we are going to play with sense of smell and color to heal our Chakras - the one that comes to mind is the Sacral Chakra and before we begin, this is why it's so important. Many of us spend a good amount of time thinking about what we want out of life: loving relationships, successful home and family life, rocking careers that pay the bills and allow us to grow, etc. These dreams turn into vision boards almost automatically - we have that picture in our mind's eye and often in our hearts. But have we given birth to that dream in the physical world??? 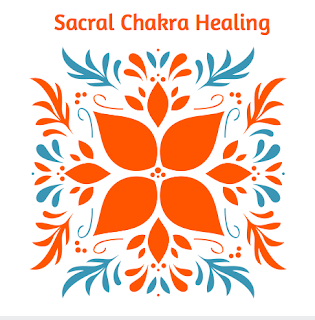 The birthing process happens through the Sacral Chakra. To effectively manifest our desires we need a clear, grounded and healthy Sacral. This week we are going to activate our Sacral Chakra with a sensorial and delicious food meditation. You will need the following: oranges, tangerines, or similar orange colored fruits (though oranges are best because of the fragrance) red, orange or yellow flowers and somewhere to sit outside - it's good to feel the breeze and the sun on your face. Step 1: Cut the oranges up in pieces so that you can eat them, put them in a Tupperware or a nice little basket and find a place to sit. Step 2: Ground your energy by visualizing a grounding cord dropping from the bottom of your spine, down through the ground to the center of the earth. This cord anchors itself in a huge carnelian crystal - its orange and red tones send us fiery and passionate energy. Step 3: Visualize a bubble of violet light around your energy field, this shields your energy so that you can open up safely. Step 4: Bring your attention to your Root Chakra at the base of the spine, it spins bright red as its filled with earth energy. The crystal's energy continues to rise up through your core to your Sacral Chakra, below the belly button. Visualize and feel as your Sacral Chakra expands, its orange energy growing stronger and stronger. 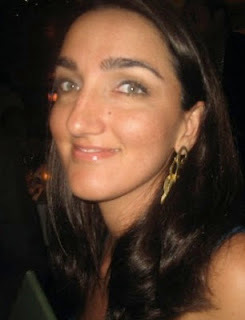 Step 5: Think about what makes you feel passionate, enthusiastic and full of energy. Are there any obstacles in your path that keep you from embracing that side of yourself? If so, we are going to send light to those obstacles, especially inner obstacles, and let them dissolve. Step 6: Fill your Sacral Chakra with light and know that you have the power to manifest enthusiasm, passion and opportunity in your life. We are going to stimulate (or feed) this energy by blessing the oranges with creative fire - so hold the oranges in your hands and see them filling up with light and creative energy. When you are ready, its time to enjoy those oranges (or tangerines, etc) and eat them slowly. With every step your Sacral Chakra sends healed and whole vibrations to your emotional Aura layer, surrounding you with vibrant energy. Step 7: Close down by bringing your attention back to your grounding chord, drawing your Aura in around your body and bringing your Root and Sacral Chakras back to their normal size. Visualize orange flower petals closing over your Sacral, front and back, and place a disc of white light on your Root Chakra so that it is less exposed, but still grounded in Mother Nature's loving energy. Take a few deep breaths, bring your attention back to the room (or the park) and have a stretch! Remember to tune in with your grounding roots throughout the day and with your Sacral Chakra, too. Please repeat this meditation over the next few weeks as we have a key astrological window on August 13th, where we can work with crystal magick to choose a dream and manifest it in the world. Subscribe by email if you'd like to follow up; you'll also get a free copy of my new ebook in June. You can also find her on: Amazon - Facebook - Instagram. Image: I created this design at Canva.com - try it out!